We’ve become disconnected from fashion. As a society, we’ve digressed into a fast-paced, quantity-over-quality consumer culture, where most products are machine-made, not handmade. 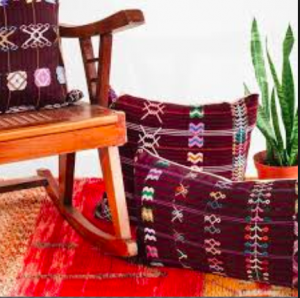 However, several indigenous communities around the world still embrace craftsmanship and culture in clothing and tell the stories of their people in their weavings to be passed on for generations. 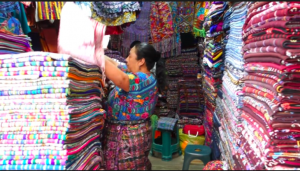 The Global Trunk founders Josetta Sbeglia and Cathy Benavides were taken aback by the beauty and meaning in the textiles they encountered on their travels through Central and South America, and thus, The Global Trunk opened as a way to share the stories of the Mayan people with the rest of the world. The Global Trunk began as a staff-of-two shop on Etsy, selling handicrafts from indigenous communities around the world. 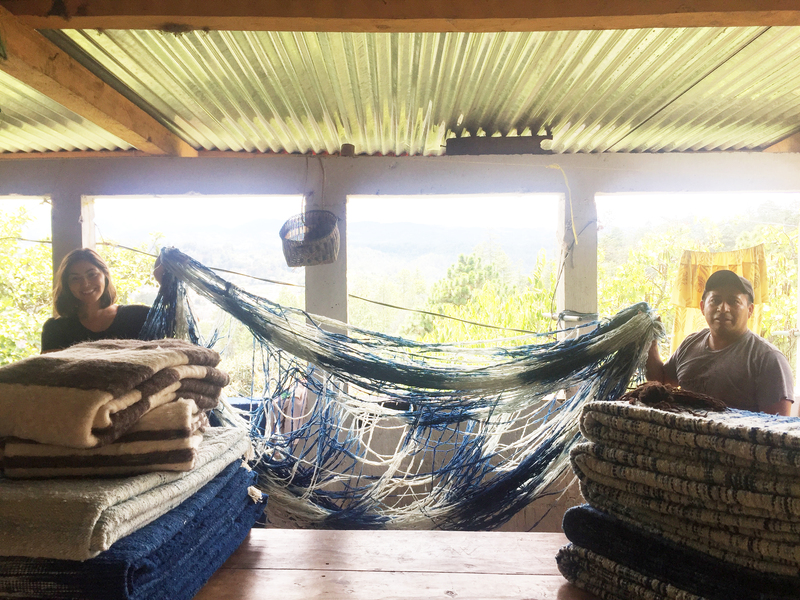 After two years, Josetta and Cathy made the decision to officially brand their business, let go of their Etsy platform and declare independence as a showroom and online platform marketing one-of-a-kind pillows, clothing and home goods made from mostly repurposed, sustainably-sourced, woman-made vintage textiles of primarily Mayan communities in the Lake Atitlan region of Guatemala; Chiapas, Mexico; Morocco and Bali. Through this branding, they were able to extend their staff, adding Co-Managers Samantha Magaña and Lindsay McGee, and began participating in local craft fairs such as Renegade Craft Fair and Unique Markets, and collaborating with other companies like Anthropologie’s Marketplace Initiative to share the textiles’histories with a greater global market. Today, The Global Trunk operates as a fair trade, not-for-profit Certified B Corporation, obligating them to maintain a strong balance between purpose and profit. For the ladies behind The Global Trunk, that purpose is to empower and bring better working and living conditions to the people who craft their products. 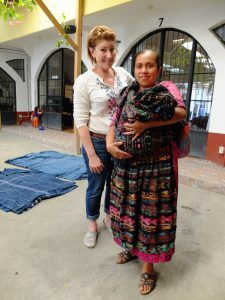 In order to ensure these women are well cared for and fair-trade standards are maintained, The Global Trunk has established partnerships with local foundations, cooperatives, and nonprofits. Because The Global Trunk has such a small, intimate staff, they are able to personally nurture the relationships they build within these communities. 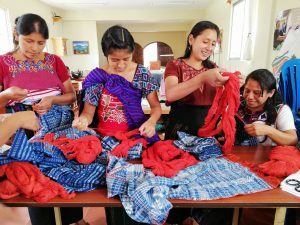 The Global Trunk contributes above and beyond their operating costs to these communities and organizations, and after a recent fundraising event, donated $3,800 to Amigos de Jaibalito Foundation in Lake Atitilan, Guatemala. “One of the things we see while traveling is the working conditions. When we get the product that we get, knowing where they’re coming from, we like to know that they have fair working conditions. We get pictures from the foundations we work with. Just knowing that they have accessibility to clean drinking water and giving back to the foundations that we’re working with and seeing the growth and improvements when we go back, we’re able to see that we’re not just planting seeds, but we’re actually seeing them grow,” said Cathy. The Global Trunk works to ensure sustainability is at the foundation of their business—both the sustainability of their workers and their products. 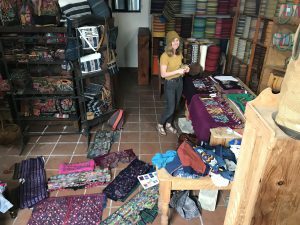 The Global Trunk primarily repurposes vintage textiles into pillows, accessories, home goods, and children’s clothes; “We don’t throw anything away, we’re using the remnants,” said Josetta. Most products are sourced from organic Mexican wool, organic Guatemalan cotton, organic bamboo fibers or eco-friendly synthetic fiber blends. 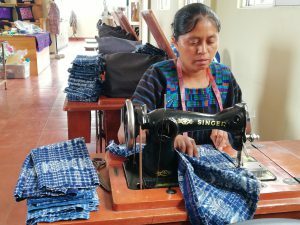 In addition to bringing security and stability to the women that craft their products, The Global Trunk hopes to revive the dying art form of handmade textiles and bring meaning and sustainability back to the clothes we wear and the items we own. To continue these histories in your own home or give a one-of-a-kind gift this Christmas, visit www.theglobaltrunk.com.